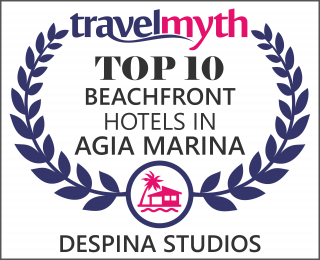 All clients that would like to spend their holidays in our hotel during the summer season of 2019 can send an email to the hotel manager at info@despinastudios.gr in order to book their vacancy. The prices highlighted below are set for all 3 room types* our hotel offers and includes A/C, safe box and VAT. In order to check availability for the room type they like, customers are obliged to refer vacation dates on their communication with the hotel manager on the email highlighted above. Special prices can be negotiated depending the holiday period, the duration of your stay, as well as your booking terms. If you book your vacation which exceeds 7 days, one day is free of charge. All guests that would like to spend their holidays in our hotel during May 2018 with these reasonable prices, are obliged to make a booking directly via the hotel manager system at info@despinastudios.gr. Especially, for clients that exceed 6 nights of minimum stay in Despina Studios, the hotel offers airport transfer to and from the hotel area, free of charge. In order to check availability for the room type they like, customers are obliged to refer vacation dates on their communication with the hotel manager on the email highlighted above.